What is the difference between shared, dedicated, VPS and managed web hosting? What is the difference between shared, dedicated, VPS and managed web hosting? What is the difference between shared, dedicated, VPS and managed hosting? If you’re new to WordPress and web development, you’re probably new to the concept of hosting. All that it really entails is selecting a company to host your website. In addition to storing your site’s files, a web host (of which there are many service providers) will also host the MySQL database for PHP-powered platforms like WordPress. Web hosting packages come in a variety of shapes and sizes. The various hosting solutions are able to cater to just about any business or individual’s specific needs. Generally, bloggers and small businesses will find their needs perfectly met with a shared hosting package. As well as shared hosting, there are other forms of hosting, including dedicated hosting, VPS and more. Managed hosting adds another layer of service supply to a hosting package. We’ve covered a few of the most common and readily available hosting options to help you both understand the differences between them and too, select your hosting package with confidence. If you have any questions or feedback, please feel free to share them below in the comments section. Each of the various hosting options functions in essentially the same way: they store your website’s files and deliver them once they are requested (as a user enters your URL into a browser bar). The difference between each of the hosting solutions boils down to the capacity, speed, level of user control and depth of technical operation. As implied, shared hosting sees the sharing of resources. With shared hosting, a number of websites will all occupy one single server. The actual quantifiable number of sites per server can vary, ranging from a few websites to hundreds or even thousands of websites. Here, all of the websites on the individual server will share the resources (including data, space, and power) of the server itself. Shared hosting is the most cost-effective option, seeing annual fees of entry-level package tally to really reasonable figures. Despite the notion of splitting resources between sites, the sharing of resources will not hinder the performance of a small website or blog. Shared hosting is perfect for web users who are looking for a relatively inexpensive option, and whose websites experience a small to moderate amount of traffic. This can include small to medium businesses, freelancers, hobbyists, bloggers and more. Whether they’re seeking additional resources, are expanding their site quite considerably, or are just generally unsettled by the thought of sharing space and speed with an unknown number of others, in some cases, website owners can outgrow their shared server. In such instances, a Virtual Private Server or VPS is generally the next step up from the shared hosting plan. A VPS is a physical machine sold by the hosting company itself. The machine is divided into a number of self-contained components, with each virtual component running individually installed server software. With a VPS, there may be a number of websites all making use of the same virtual machine, but as each component is set up to act independently, there will be no hindrance or negative effect in performance on an individual website at any given time. VPS solutions are more pricey, but not unreasonable if the rationale behind opting for one justifies the cost. A dedicated server is just that: a server that you have full control over, and that is dedicated exclusively to your website. 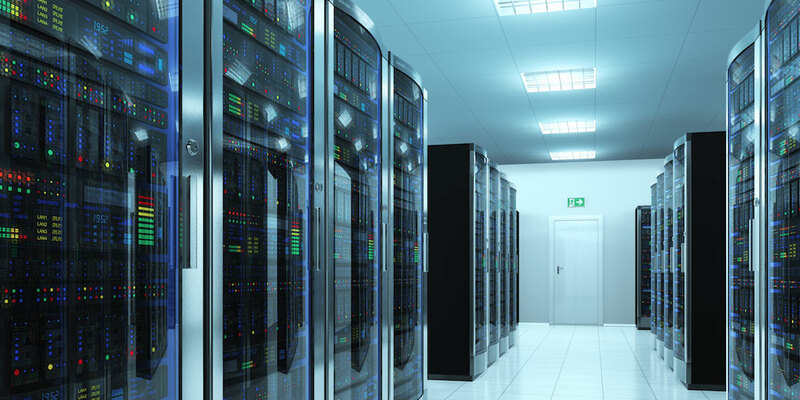 With a price tag that certainly equates to its worth, a dedicated server will give you an individual server with an uninterrupted power supply and backup generator, securely stored in the host’s data center. With a dedicated server, your website has absolutely zero competition to contend with. Opting for a dedicated server is a good solution for extremely large websites that gain hundreds and thousands of visitors on a daily basis. Managed hosting adds an additional layer of service offering into the mix. In the above-mentioned hosting packages the user/owner has to exert control over the server as a separate entity and take care of its longevity, as well as that of the website itself. With managed hosting, the hosting service provider itself will tend to the nitty-gritty – and often intimidating – aspects of server management so that the user/owner doesn’t have to. 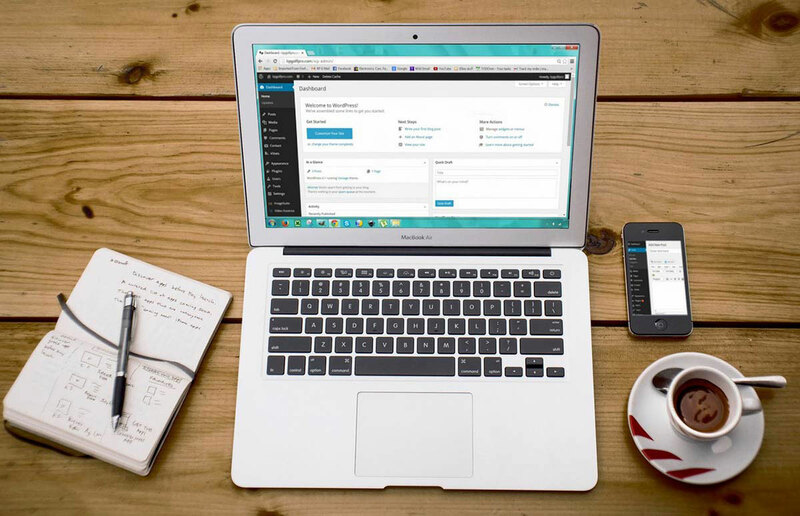 In the case of managed WordPress hosting, hosting service providers will offer services optimized specifically for WordPress, including installing WordPress core files on your server, linking the SQL database, taking care of theme, plugin, and WordPress core updates, and much more. Managed hosting could be great for users who don’t want to see the back end of their website, and would prefer to stick to more business-focused innovations (i.e. content publishing and exploring other forms of marketing avenues). The only problem here is that the user may become somewhat dependent on the hosting company itself. An entry level package on a shared hosting plan is, without a doubt, the best place to start for first-time web users or aspiring bloggers. Over time, in the event that your website experiences an increase in growth and traffic, consider an alternative, but make sure that the growth thereof justifies moving up the ranks of hosting solutions. Managed hosting is incredibly expensive, and should really only be considered if financials aren’t a problem. The benefits of managed hosting (fewer things to worry about, more automation) may be a pro for some, but the general lack of understanding of server operation and its relationship to the website itself may be a con for others. Which hosting plan do you use for your website? What has your experience been with your hosting service provider? Please feel free to post any comments, questions or queries below – we love receiving your feedback! Thank you Lisa Robyn! After reading this I decided to go with Bluehost. My experience with Hostgator has been an uphill battle. There’s a lot of confusion when it comes to what web hosting options are available in the market. In such situation, article like yours is definitely worth reading.